Payroll isn't just about making sure your employees get paid. It's a vital roll in your business. Better management of your business cash flow. Confused by the constant changes in tax law? 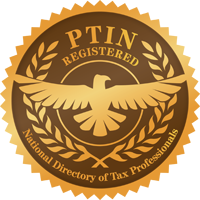 We regularly monitor the latest updates in tax law and compliance issues so you can rest assured that you will never be delinquent in your filings. SFS Tax & Accounting Services can help you meet deadlines and stay on top of changing regulations. Now that’s the peace of mind you deserve!